Runflat, RSC, RFT, SSR, DSST, ZP, RF, HRS, ROF, EMT, TD, MOE, MO Ext. This marking is found on the side wall of original tyres supplied with BMW and Mini models. These tyres have been developed and manufactured according to certain specifications and requirements of the car manufacturer. We recommend fitting four of the same tyres, so that the tyres can deliver optimal performance. Please note: Tyres with this marking can also be used with other vehicles. 0 degree coverage from Michelin stops wide base tyres losing their shape at high speed due to a variable fibre geometry in the nylon cord. Revolutionary technology that ensures better grip on snow and ice, stability on wet and dry roads, more comfort than tiring drive. The 3D-BIS Technology(3D-Block Interlocking System) acts by locking all block elements together to improve and maintain the stability and tread stiffness, also allowing the number of sipes to increase for more grip on icy and snowy roads. On a 4 wheel drive vehicle, all 4 wheels can move the car, in contrast to a front or rear wheel drive car. Some vehicles have permanent 4 wheel drive, others have selectable 4 wheel drive. Driving power can be spread differently over the front and rear axle. The Falken innovative technology with Cutting-Edge Simulation accelerates the development of new tyre materials which result in new high-performance tyres. The 4D-Nano Design combines "Research," "Prediction," "Production" and "Extraction" technologies which unlock the performance of the materials in the new high-performance tyre at a nano scale, thereby enabling engineers to utilize the full hidden potential of each material. This marking is found on the side wall of original tyres supplied with Audi models. These tyres have been developed and manufactured according to certain specifications and requirements of the car manufacturer. We recommend fitting four of the same tyres, so that the tyres can deliver optimal performance. Caution: Tyres marked AOE indicate emergency running properties, and may not be combined with other tyres marked A or AO, see Runflat. Off road vehicles which are frequently used on rough terrain must be fitted with special off-road tyres. As the name suggest, all-terrain tyres get you through all kinds of surface, whether it’s mud, snowy forest tracks or a country road littered with potholes. Please note: These tyres come in both imperial and flotation dimensions. An ABE or General Operating Licence (GOL) is required for registration of a production car and to allow it to drive on public roads. The official documentation for this General Operating Licence is the vehicle registration document or licence certificate. This document includes information about engine capacity, number of seats, code numbers, or towing capacity, and also any changes made to the vehicle with official TÜV approval (wide tyres, parts added to the bodywork and so on). If any changes were made to the vehicles and not noted in the vehicle registration document, this will cause the General Operating Licence to lapse and will be sanctioned accordingly. Caution: If unapproved wheels or tyres are used, then the entire vehicle licence certificate will lapse alongside the operating licence including insurance cover! Please note: In relation to alloy wheels “ABE” is commonly used to mean “approved for General Operating Licence”, which allows use of these wheels on special editions of the vehicle in question. Abrasions caused by braking can arise when brakes are fully applied (particularly without ABS). Here, the wheel locks completely and skids over the road. The profile on the contact area is eroded by the extreme heat and abrasion - which means the tyre is no longer round and must be replaced. The anti-lock braking system (ABS) sometimes called the anti-lock limiter, stops the wheels locking up when the brakes are fully applied. This means the vehicle can still be steered properly. An electronic device controls the revolutions of all the wheels via wheel rev sensors, compares these with each other, and adapts their behaviour to the speed of travel. If the revs of one or all the wheels drop out of proportion to the others, the electronics pick up the risk of locking and immediately reduce the hydraulic pressure in the brake line of the wheel in question. Depending on the construction of the ABS, the hydraulic unit generally contains three or four channels to the individual brake cylinders. In dry, damp and wet conditions, the braking distance is generally shorter than for the same vehicle without ABS. On fresh snow or loose chippings, the braking distance with ABS may be slightly longer. Please note: In an emergency, press down hard on the brake pedal and do not be put off by any pulsing of the pedal. The Falken High-Pressure Tread Design technology is a new concept that improves the footprint of the tyre, distributing the pressure evenly throughout the contact patch. With this technology the broader footprint enhances the grip and driving performance, increasing braking and direction stability performance, and ensuring that the tyre wear pattern is even. Technology that enables driver to easy maneuver tight turns. This is being done by outside tread grip increase while inner tyre grip decreases dramatically. A layer of a high strength material that features added durability and toughness, named Armid helps to improve the pressure distribution on the contact patch, providing more grip. Innovative 3-dimensional block design that increases the contact area during brake. Advantage of this technology is a shorter braking distance on dry and wet roads. A variety of factors can influence the ageing process of a tyre: Humidity, UV radiation, heat, cold etc. In order to avoid a reduction in performance, other substances are mixed with the rubber compound to significantly slow down the ageing process. However, you should replace your old tyres with new ones after ten years at the latest. It is a natural process for rubber to age, during which its elasticity and grip can change. This is a very slow process, and can be delayed further by special anti-ageing materials in tyres. However, a pristine spare tyre which has been lying in your boot for over 6 years, should not be used together with completely new tyres. The words ”Air Loss” immediately make you think of a sudden, obvious or gradual loss of air, such as that caused by a puncture. However, air pressure goes down continually even without any outside influence, as the inner liner of a tyre can never be sealed 100%. The following rule of thumb applies: Check your tyre pressure every other time you refuel. This is also possible when the tyres are filled with a special gas (e.g. nitrogen). However the special effect of the gas gradually disappears as you top up with normal air. The correct air pressure is critically important for the mileage and life span of the tyres, as well as driving safety. If tyre pressure in the tyres is tool low, it can lead to poor weight distribution and overheating, or even to the risk that the tyre may blow out. In addition, rolling resistance is increased, leading to an increase in fuel consumption. Regular studies have shown that approximately only one in four cars on the road has the correct air pressure. You will find the air pressure recommended by the manufacturer in the vehicle’s instruction manual, and also on the fuel fill flap or on the side of the door. Air pressure should be checked at every other stop at a service station, or at least every four weeks. Tyres must be checked when cold, as warm tyres have a higher pressure. Therefore: never release air from a warm tyre! Under certain circumstances, wide tyres require different air pressure to standard tyres, in this case please make sure to consider the information in the user manual or from the tyre manufacturer. Air pumping is the specialist term used for air pumping out of tyres when the tyre is rolling. The weight of the vehicle presses the tyre onto the road with great force, so that air flows at great speed our of the tread channels when the tyres rotate. At high speed, whistling and hissing sounds can occur, which can however be reduced by skilled variations tread design. In the car area, so called all-weather or all year tyres are available as well as summer and winter tyres. All weather tyres must be marked with the symbol “M+S”, just like winter tyres. Manufacturer names such as “Allweather” or “All season” signify what is also meant by special symbols on the side of the tyre: Snowflake, leaf, sun and raindrop symbolise the different types of weather conditions which the all weather tyres are suitable for. Naturally these tyres represent a compromise - they don’t reach the high standard of driving properties of summer tyres in warm weather and dry conditions or those of winter tyres in the cold and snow. All weather tyres are an option for motorists who live in a relatively flat area, and can occasionally leave their car at home in extreme weather conditions. Please note: If an all weather tyre is not available in a certain size, a winter tyre can be used in its place. Aluminium rims are rims which are made from aluminium alloy - not from pure aluminium. Pure aluminium is too soft to guarantee the strength required and meet the challenges of driving on the road. In contrast to steel rims, alloy wheels are available in almost any size or width. So you can only get 22, 23 or 24 inch rims as alloy wheels. Alloy wheels add value to any car due to their design. Many are more suitable for summer, as they more sensitive to road salt than steel wheels due to their finish. However, special winter alloys with a winter resistant coating are available. These abbreviations stand for Aston Martin specifications. These tyres have been developed and manufactured according to certain specifications and requirements of the car manufacturer. We recommend fitting four of the same tyres, so that the tyres can deliver optimal performance. An anti theft lug nut or bolt is a wheel nut or bolt which protects the wheel from theft. It can only be unscrewed with a special key. Aquaplaning occurs when the grooves in the tyre can no longer lead the water under the tyre contact area to the outside. The tyres then float on the film of water, so braking power and steering power are no longer applied to the driving surface. Aquaplaning can be recognised by light steering, spinning drive wheels with high engine revs, and the sound of water under the car. Anyone who finds themselves unexpectedly aquaplaning should not try to brake under any circumstances, but should instead depress the clutch and keep the steering wheel in the direction of travel. The wheels must not lock, or be pointing in the wrong direction when they come into contact with the road again. Drivers of automatics should concentrate on their steering and not attempt to change the driving mode. The following applies in the rain: Drive carefully! Asymmetrical tyres have an inner and an outer side. This is indicated by the words “Inside”/”SFI” and “Outside”/”SFO” on the side walls. After fitting, the wheels can be used in any position on the vehicle, in contrast to directional tyres. However, the side initially chosen to be the axle side should be kept with subsequent changes of wheel, as tyres always wear slightly unevenly due to direction and vehicle set up, and so adapt perfectly to the road. The profile of asymmetric tyres is designed differently on the inner and outer shoulders: Whereas the profile on the inner shoulder provides traction and straight running, the profile on the outer shoulder is designed for optimal steering and stability when cornering. When changing a wheel, you should bear in mind the axle position, as this indicates what position a wheel was fitted in, or should be fitted in. Regardless of the type of drive, forces affect each wheel differently. As a rule of thumb you can say that tyres with deeper tread belong on the rear axle. So the position of the wheels may be changed to use them evenly, e.g from FL to RL or FR to RR. The axle side initially chosen should stay the same, as the tyres adapt to the axle geometry. This guarantees the optimum contact area. Directional tyres must always be kept on the original axle side. These abbreviations stand for Bentley specifications. These tyres have been developed according to certain requirements of the car manufacturer. They are specially aligned to the manufacturer’s chassis and from part of the vehicle’s original equipment. With balloon tyres, the ratio of height to width is 0.98 :1. They offer good suspension, but poor cornering properties. Balloon tyres are no longer common on modern cars. They are only used with vintage cars and as specialist tyres. Bar is the legal unit of measurement for pressure. This is the unit of measure commonly used for tyre pressure and replaces the unit “physical atmosphere” (atm). One mbar corresponds to 100 Pascal. Michelin’s bi-directional system (BDS) is a special lamella system where the lamellas go in two different directions. Because of their arrangement they are also called “Z-Lamellas”. These lamellas block each other when braking and accelerating, leading to better handling. BDS-Lamellas are used on the Michelin Alpin and Pilot Alpin winter tyres amongst others. The bead or inner ring on the side of the tyre contains strong wire cores and has the task of ensuring the tyre sits securely on the rim. In a tyre where the pressure it too low, the increase in flexing can give rise to temperatures up to 120° C. Particularly in the shoulder area, this can lead to overheating of materials, causing parts of the running surface to displace. In belted tyres, the fabric is reinforced with metal wires and textile bands which go round the tyre like a belt. In belted tyres, the fabric is perpendicular to the direction of travel. The belt, which goes over the fabric in line with the direction of travel gives the belted tyre similar side wall strength to a diagonal tyre, but they are generally more flexible and thus less liable to slip on wet roads. The big advantage of belted tyres in their more stable running surface, giving them better road-holding. A car with belted tyres will corner better, has better braking distances, drives more safely on wet roads - and the tyres also last longer, but all at the cost of comfort. Caution: Steel belts can rust. This means any tyre with deep damage to the surface such that moisture (even air humidity) could get to the steel wire must be taken out of circulation immediately. Bib Mousse is a foam rubber ring which acts as puncture preventing replacement for inner tubes on motorbike tyres. A new Bib Mousse ring is equivalent to a reinforced tube with 0.9 bar pressure. Caution: The Michelin Bib Mouse is not authorised for use on the road, and may only be fitted in Michelin tyres! So for example, we can minimise the air resistance of tyres with a surface similar to sharkskin. BioTred is the name given to a tread compound from Goodyear, which contains a corn starch component. This makes it possible to produce tyres in an environmentally friendly way. It also reduces rolling resistance, saving fuel and money. BioTred 2 is based on a palm oil derivative, which is used instead of crude oil derivatives such as carbon black. “Black Chilli” is a special rubber composition from Continental with racing carbon blacks, resin and nanoparticles. It improves the versatility of the tread on the roadway and increases the stability and traction of the tyre. When braking, the powerful vibrations of the tyre are converted into heat through short-chain polymers in the tread, which enables better grip on the road and shorter braking distances. At constant speed, the vibrations are smaller, and long-chain polymers ensure that the energy is dissipated outwards. The tyres remain cooler, and the lower roll resistance increases the mileage. Special design of side wall lettering, slightly raised black letters. BluEarth is a technology that delivers driving pleasure, protects the environment and is socially friendly. BluEarth technology can be found in all Yokohama BluEarth pattern series. This technology adds the value to the tyres by Fuel Saving and Environmental Friendly. The number of holes indicates the number of wheel bolts or nuts used to attach a rim to the vehicle. Often 4-5 wheel bolts or nuts are used, however a minimum of 3 - on lorries there may also be more. The distance between pressing the brake and the vehicle coming to a complete stop is known as the braking distance. Several factors influence the braking distance: Driver reaction time and length of braking, brake system reaction time, road conditions (type, wet), weight of the vehicle, condition of the tyres (manufacture, depth of profile, pressure) and speed. Special design of side wall lettering, serrated letters. Special design of side wall lettering. The lettering is serrated inside the edge. Special design of the side wall. Tyres with a black side wall. Reinforced tyres for light lorries, vans and good vehicles are known as C tyres. Depending on the manufacturer, the “C” stands for “Commercial” or “Cargo” but they both relate to the same thing. On many C tyres there is a double marking for the maximum load for single or twin tyre formations. Originally, the abbreviation “PR” was located on the side wall of tyres for good vehicles. This refers to the Ply Rating, which formerly indicated the number of body ply cords, thus representing the load bearing capacity. which is nowadays shown by the load index for vans or goods vehicles. So tyres with 8PR rating had a higher load-bearing capacity than 6PR tyres. When selecting tyres for a goods vehicle, the primary considerations are construction type and load index. Caution: RF-/XL tyres and LT tyre are not C tyres, even if they resemble them with regard to size and load index. Therefore you should check the paperwork for your vehicle or ask the manufacturer which tyres you can use. In contrast, the abbreviation “CP” stands for “Camping”. This refers to C tyres which are optimised for the particular requirements of mobile homes, such as long standing times. Calender is an expression used in the manufacture of tyres. It refers to a beading system where the cord fibres are coated thinly on both sides with rubber. The inclination (angling) of wheels towards each other, when viewed in the direction of travel, is known as camber. It is shown as the angle of the plane of the wheel to the vertical plane with respect to the ground. If the inclination towards the top points outwards, the camber is positive. This suppresses the tendency to flutter. If the wheels point inwards at the top, the camber is negative, leading to increased lateral control. This essential element of the load bearing sub-structure of the tyre gives the tyre its strength and ensures it stays together. Nowadays, carcasses consist of a plastic and cotton fibre fabric or steel cord, embedded in the rubber. Centrifugal force is the force which pushes the vehicle outwards when cornering. The greater the weight of the car and the speed, the greater the centrifugal force. Hydrocarbons (CH) are present in emissions in many variations. There is a corresponding variety of odours (aromatic to pungent). There is also a similar range of effects on human health. Some CH compounds have a narcotic effect, at least in high concentrations, and others irritate the mucous membrane, or are more or less poisonous. Certain, so called aromatic CH compounds such as benzene are categorised as carcinogenic. At normal atmospheric concentrations, CH compounds are of particular relevance in relation to the formation of smog, whose main constituent is ozone. The chassis creates a connection between the bodywork and the road, and its character is responsible for both the comfort of the vehicle and its road holding performance. Can manufacturers are constantly trying to find the balance between safe road-holding and corresponding comfort of the vehicle. The problem is that one does not actually exclude the other, but they do significantly influence each other. On the one hand, a stiff chassis gives a high level of driving safety, (good traction, directional stability, road holding, speed of reaction), albeit always at the expense of comfort. Chassis geometry includes camber, tracking, and caster, and depending on the vehicle also rake. Changing or adjusting the chassis geometry can often have a detrimental effect, for example changes to steering force or impaired straight line running. Tyre sizes and rims which are not entered in the vehicle’s documentation many only be used after a clearance certificate has been issued. This will be issued by the vehicle manufacturer or tyre manufacturer, or another expert, thus allowing the tyres ad rims to be fitted. CLIP ON, FIX and FLASH are all tyre references for rim bases which are side-split or Lemmerz contoured without closing rings, side rings or cross shoulder rings. SIT makes fitting easier: Continental were the first to bring out the first major innovation from the forklift area in the shape of the Snap In Tyre, which represented significant time savings across the board. The patented SIT construction comes without any loose rim parts. This results in optimal positioning of the rim, cost savings due to the lack of loose parts, plus easy and fast fitting. The coefficient of adhesion indicates the roughness of various pairings of materials between the underside (e.g of tyres) and substrate (e.g. road). It is indicated by the Greek letter µ. Low values indicate a smooth, slippery, low friction pair of materials. With higher values there is a greater frictional force to overcome. The coefficient of friction of a tyre is not constant, rather it varies depending on temperature, surface pressure in the contact area, slip and numerous other factors. Commercial vehicle tyres are tyres which have been specially developed for vans, lorries and buses. The main priorities are economy and a long life span. The area of the tyre which actually touches the surface is known as the contact area. With a car, this is roughly the size of a postcard. Tyres in the ContiSeal range are different in that they have a viscous, sticky coating - between the shoulders on the inside of the tyre. If a foreign object penetrates a ContiSeal tyre, the viscous coating surrounds it and prevents any loss of air. If the foreign object falls out, the hole is sealed off by the sticky, viscous coating. You don’t have to interrupt your journey to change the wheel, you can just go on to the nearest tyre specialist. Please note: ContiSeal technology only seals off holes up to 5 mm. Caution: The viscous coating is not suitable as a permanent repair after a puncture. After any damage to a tyre you should consult a tyre specialist, who will check if the tyre can be repaired. A tyre pressure monitoring system in the vehicle is required when using ContiSeal tyres. ContiSilent technology lowers perceived road noise from the tyres for car occupants. Here the tyres are equipped with a foam on the inside, which keeps its shape even when temperatures change dramatically, thus minimising generation of noise. Road noise inside the vehicle can be reduced by up to 9 dB (depending on the type of driving, speed and road surface). These tyres have been developed and manufactured according to certain specifications and requirements for Daimler-Chrysler. Please note: The tyres can also be used on other vehicles. Cord plies are threads made of rayon, nylon or polyester. They are woven and incorporated into the rubber of the tyre adding considerable strength. Running these cords from bead to bead determines the type of tyre construction, which can be diagonal or radial tyres. CP tyres have been developed for camping vehicles such as mobile homes and are fitted with a reinforced sub structure. Equivalent to C tyres in terms of construction, CP tyres therefore have a high load bearing capacity. Due to considerably higher air pressure, CP tyres have higher load bearing capacity and at the same time, greater protection from mechanical damage. This reinforcement is done over several layers as in 205/55 R16 99 CP V tyres. This protects the tyres during a long stationary period on a base plate. Cross aquaplaning can occur when cornering on a wet road surface. In this dangerous situation, the vehicle suddenly loses contact with the road. The lateral centrifugal force is so powerful that the vehicle eventually skids out sideways. DA tyres are tyres which have some visual faults and are correspondingly ”downgraded” by the manufacturer. So they may be marked with a stamp for example. These visual faults have absolutely no effect whatsoever on performance or properties. In diagonal ply tyres, the cords run at an angle to the direction of travel. This means the side wall of the tyre is more stable than in radial tyres. However, this leads to a smaller contact area, as well as a reduction in stability when cornering. Whereas diagonal tyres are still used today with motorbikes, agricultural and industrial equipment, they have been almost completely replaced by radial tyres for cars and commercial vehicles. Depending on the design they can be used with an inner tube (TT) or without an inner tube (TL). Differential gears or differentials equalise the differing revolution rates of the wheels on the drive axes. Differing rates of revolution of wheels inevitably occur as the wheels on one axle have to cover different distances when cornering. Here the wheel on the outside of the bend always goes more quickly than the wheel on the inside. In most cases, a so-called bevel gear differential equalises the revolutions on the drive axle. Where built in, a limited slip differential prevents the wheels from spinning freely and directs the power to the wheel with the better level of traction. The dimensions shown on the side wall of a tyre indicate type of construction, size, maximum speed and load capacity. In general a vehicle must only be fitted with tyres as indicated in the vehicle licencing documents (or registration certificate part 1). As the registration certificate part 1 (since October 2005) only shows tyre size, the alternative tyre options should be taken from the CoC (Certification of Conformity). There are, however, a number of exceptions in this regulation. So there are a number of cars (mainly old ones) where 82 series tyres are specified. As these are virtually identical in size to 80 series tyres, both types may be used, according to a statement form the Federal Ministry of Transport. No change or addition to the vehicle documentation is needed, as long as speed and load index is the same or higher than indicated in the paperwork. This allowance is also valid in the opposite direction – 82 series tyres may also be used instead of 80’s. This was determined by the Federal Ministry of Transport in 1990 in §36 of the StVZO (German Road Traffic Regulations) Appendix 9. Falken Technology that boosts the durability of the tyre. Dimples on the sidewall increase the efficiency and heat dissipation in run-flat mode, reducing the thickness at specific points, thereby increasing the surface area and boosting the air circulation. It is the ideal combination of modern designs and tyre functionality. Directional tyres should only be fitted to the car in the direction of travel intended. This direction of travel is identified by an arrow and the word “rotation” on the side wall. Discontinued lines may have an older DOT number (date of manufacture) and are often no longer in production. The abbreviation DOT stands for the US Department of Transportation and in many countries, it is valid and the legally required approval in the tyre industry. DOT means that the tyre meets or even exceeds the safety requirements of the Department of transportation. 1. The tyre meets or exceeds the safety requirements of the Department of Transportation. 2. Place of manufacture and plant code (assigned by the DOT). 4. Optional manufacturer’s code to identify the brand and tyre properties. There are a number of indicators relating to tyre construction which are located on the side wall in the form of numeric codes. Generally, however, this refers to the tyre’s date of manufacture. The age of the tyre is indicated, encrypted. So, for example, “327” could mean week 32 of 1997. As of 2000, the week and month of manufacture of a tyre have been show as four digits. So the last four digits show the week and year in which the tyre was made, for example “1602” means week 16 of the year 2002. On light trucks or van tyres, also known as C tyres, there are often two figures for the load index shown on the side of the tyre, for example 205/55 R16 C 98/96H. These two numbers indicate the load capacity for single tyres (98) and twin tyres (96). In this case the maximum load capacity of a tyre would be 750 kg for a single tyre, or 710 kg for twin tyres (with tyre pressure of 2.5 bar). The lower load index in the two numbers always stands for the maximum load capacity for twin tyres. Drainage refers to the deflection of water by the tread. Tyres must have good drainage performance in order to guarantee safe driving performance in wet conditions. Using computer simulation, the water deflection speed of a certain tread can be calculated, and the tyres ability to combat aquaplaning optimised with linear or lateral drainage. These tyre markings are part of a Michelin specification and signify that the tyres should be fitted per axle. Tyres with different markings should not be combined with each other. The letter “E” on Dunlop tyres stands for tyres which have been enhanced to minimise rolling resistance, fitted as original equipment to some cars. An A stands for a special Mercedes design. A successful Goodyear product range of high-performance sports tyres. The European Article Number (EAN) gives every tyre model a unique article number. ECE 30 refers to a European guideline which is documented on the tyre by the E number. The E number is specific to every tyre design and confirms that the tyre in question has met the test criteria specified in ECE 30. In Germany, since 1998, only tyres produced after this date which meet the test criteria can be sold. Amongst other things, the ECE 30 protects the consumer from serious safety faults which can arise from cheap imports, for example. Tyres on vehicles with a top speed of over 40 km/h must be furnished with information such as tyre size, type of construction, load capacity, speed category and date of manufacture (or re-treading date). In addition, since 1998, the ECE identification must be included. Eco-impact is a manufacturer term for energy saving tyres from the brand Pirelli. These tyres are designed for environmentally friendly performance (classed as “Green Performance” by Pirelli). Ecopia tyres from Bridgestone combine low rolling resistance with outstanding safety and performance in wet weather. Abbreviation on the side wall of a tyre. These tyres have narrow white letters. - Promotion of unimpeded exchange of technical information regarding tyres, rims and valves. In view of the fact that tyres make a considerable contribution to road safety, the ETRTO works with national and international organisations and legislative bodies in order to make suitable recommendations. Since the 1st of November 2012, the EU tyre label has rated tyres with respect to fuel efficiency, braking on wet surfaces and external road noise.This means the consumer can find out about these features before buying a tyre.The label does not provide other key data such as driving stability, wear and tear or braking on dry roads. When a tyre is provided with a noise protection approval number, it meets the requirements of regulation 2001/43/EG, and the new noise limits which apply in European countries. The identifier “F” can stand for Ford or Ferrari specification. These tyres have been developed and manufactured according to certain specifications and requirements of the car manufacturer. In fine balancing, the wheels are balanced directly on the vehicle. Any remaining imbalances arising from changes to wheel centring, hubs and brake discs are dealt with. Flank is a synonym for the side wall of the tyre. It effects the driving characteristics and comfort. Flank height is in proportion to the tyre width. For tyre size 175/70R13 the 70 indicates the as a percentage based on the tyre width of 175 mm. Flexing is the periodic compression of the tyre. It distorts the side wall and the shoulder, releasing heat and creating additional rolling resistance. If tyre pressure is too low, the tyre flexes more and the tyre overheats. The foam-in-tyre technology developed by Dunlop uses a foam ring inside the tyre. This reduces road noise significantly, without negatively affecting mileage, rolling resistance or high speed stability. The freedom of movement of the wheel must be guaranteed at all times. This means that tyres and wheels must never be allowed to touch the chassis or components such as brakes or the steering tie rod. When re-fitting with a larger wheel / tyre combination, it may be necessary to extend the wheel arches. When a vehicle moves and stops, it causes friction between the tyres and the road. The tyre surface is worn off during this, and there is a residue, this is visible on the road as a skid mark for example. The following factors effect the level of friction: Road surface characteristics, driving speed, distribution of weight, tyre pressure, temperature and tyre properties. Front + rear marked tyres are tyres which can be fitted to the front or rear rims according to the manufacturer. Essentially, car buyers judge the efficiency of a vehicle according to the fuel consumption data, This figure is determined by a variety of factors. These include the weight of the vehicle, efficiency of the engine, the front surface of the vehicle,driving speed, engine speed and accelerator settings. Fuel consumption isn’t just an interesting subject in terms of economics, but also from an ecological viewpoint. The technical competence and the development efforts of a manufacturer are reflected in the level of fuel consumption of their vehicles. Car manufacturers have to give three sets of figures for fuel consumption: urban, extra-urban and combined, whereby 36.8% of consumption is urban and 63.2% is extra-urban. Testing starts with the basic urban cycle and a cold start at 20-30° C. After measurement of emissions and consumption under the same conditions, the fuel consumption is calculated on the basis of exhaust emissions, including CO2. Lightweight carcass combined with an advanced polymer resulting less use of energy when unwinding, lower costs of fuel and CO2 emissions. Tyres marked with a “G” have been specially developed in cooperation with the car manufacturer Opel. These tyres have been developed and manufactured according to certain specifications and requirements of the car manufacturer. Special design of the side wall. Tyres with a gold stripe on the side wall. The expression “Grip” describes the friction between the contact surface of the tyre and the surface under the tyre. So the grip is the ability of the tread rubber compound to stick to the road as firmly as possible, whereby experts differentiate between the macro and micro roughness of the road surface. Grip in the wet and especially on snow is achieved via sophisticated lamella technology and special rubber compounds. Michelin’s own term for energy saving tyres. Tyres specially developed for Honda Gold Wing motorbikes. Tyres specially manufactured for Harley-Davidson. Highway Terrain (H/T) tyres were developed to give the driver the best possible conditions on both wet and dry road surfaces. They are characterised by excellent comfort, low road noise and optimal driving properties. What makes HT tyres special is they can also be used well off-road to a certain extent. Performance has been optimised for roughly 20% off-road and 80% on-road. These tyres are a good option for anyone who takes their SUV into the woods now and again, or occasionally goes off-road. HelioCompound is a rubber compound for winter tyres patented by Michelin. In addition to silica, as special protection it contains sunflower oil, which enables the material to remain supple and flexible at low temperatures. The goal of the HelioCompound technology is to improve the tyre grip and to shorten the braking distance even in conditions with moisture, snow or ice. In order to determine high speed capability, a tyre must maintain its maximum speed (speed index) for an hour on a roller dynamometer. In the next test, the speed is increased by 10 km/h every ten minutes, to test when the tyre fails. At high speeds, there is an enormous centrifugal force affecting the tyre. In order to withstand this, the carcass is firmly bound together by nylon fabric. Homologation refers to the technical authorisation of a tyre for a certain car model of car. The whole authorisation process is very strictly controlled by the car manufacturers, and around 60 individual checks come into consideration. 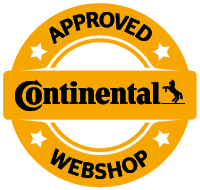 Every authorisation signifies a confirmation of quality for the tyre manufacturer. In Germany, where the manufacturers are particularly demanding, Michelin are authorised for all manufacturers for almost every profile. Hydrodynamic effect refers to the accelerated flow of water created by arrow shaped treads arranged in the direction of travel. Even very minor irregularities in the thickness of material or other issues such as uneven wear can cause tiny imbalances in the tyre. When the wheels revolve, these create an imbalance, and the tyre no longer spins evenly. In most cases, this can be equalised by a counter weight on the rim. The Instant Mobility System (IMS) was developed by the manufacturer Dunlop. IMS is a puncture kit which consists of a container with a sealant and a compressor. Vehicles with IMS do not need a spare wheel, saving fuel due to the reduction in weight. So minor damage to tyres can be fixed by the driver, and small punctures can be sealed. After any damage to a tyre, it should always be checked out by an expert. Inch is a unit of length (“) which is used particularly in the English speaking world. For example, inches are used for the diameter of rims. The inner liner is the name given to the rubber layer which ensure air tightness on the inside of the tyre. In tubeless tyres, it fulfils the role of an inner tube. Interact Technology delivers high performance in all road conditions. The Multi-Zone Tension Technology in Interact tread patterns offers adaptive mileage, grip, and handling on every type of road. So that winter tyres can really “bite” into snow, they have edges and grooves like lamellas, which compress the snow into a “tooth rail”. This gives rise to an interlinking of tyre and road surface. Intermediates is a motor sport classification for racing tyres with a tread cut on the spot by hand, which provide the best compromise on damp or drying road surfaces. Internal Sipe Locking Technology (ISLT) is a technology from Vredestein for improving tread stability in tyres with lamellae. Through tread structure in the spaces between the lamellae, the lamellae bite into each other when under strain and give each other support. The minimisation of the lamela distortion sabilises the tread bars and thus the tread. Through lamellae, ISLT combines the benefit of good road grip with better handling and higher steering precision. Tyres with this abbreviation have been developed and manufactured according to certain specifications and requirements of the car manufacturer Jaguar. With Michelin tires, K1, K2, and K3 represent Ferrari and Maserati specifications – these tyres are developed and produced according to certain specifications and requirements of the vehicle manufacturers. K1 and K2 feature new rubber compounds and modern tread patterns; these should not be mounted together with older tread patterns. Note: These tires can also be employed on other vehicles. Tyres with this designation have been developed and manufactured according to certain specifications and requirements of the car manufacturer Lamborghini. , plus safer and generally better driving performance. A rim can be affected by lateral run out due to external factors, for example, driving quickly over a kerb stone, or an accident. The rim is then warped in the direction of travel. Load Index is generally a two digit number on the end of the size classification, e.g. 175/70 R 13 82 T. The number 82 indicates the load index of the tyre. For example, Load Index 82 means 475 kg load per tyre. The bolt circle on a rim consists of the holes through which the rims are attached to the vehicle using wheel nuts or bolts. You get the bolt circle diameter by measuring from one hole to the opposite hole. With 5 hole rims you can select one of the two furthest holes. The manufacturer Dunlop call their low roll resistance tyres "Low Rolling Resistance" (LLR). Please note: Tyres optimised for rolling resistance are also available from other manufacturers e.g. the Michelin GRNX range. The profile of a tyre describes the ratio of the side height to the width of the contact area. The balloon tyres commonly used in the 20’s with a height to width ratio of almost 1:1 gave way to low profile tyres (up to 0.15 to 1) a long time ago. There is no official definition for low profile tyres. It is fair to say that tyres in the range 50 to 55 could be classed as low profile, depending on the tyre width. These tyres frequently have a flange shield. Tyres with low rolling resistance thanks to new compound technologies are called low resistance tyres. The lower the rolling resistance, the lower the fuel consumption. Special tyre id. for original Pirelli tyres for Land Rover. These tyres have been developed and manufactured according to certain specifications and requirements of the car manufacturer Lotus. Reinforced tyres for commercial vehicles such as vans. The abbreviation M/C indicates that the tyre in question is for a motorbike. This designation is compulsory in America, and also applies to scooters. Tyres with this designation have been developed and manufactured according to certain specifications and requirements of the car manufacturer BMW. They are designed as original equipment for the M3 series. We recommend fitting four of the same tyres, so that the tyres can deliver optimal performance.Please note: The tyres can also be used on other vehicles. The main grooves are usually located in the middle of a tyre, and the wear indicator is also located here. Manufacturer tie-in means that the car manufacturer only authorises certain tyre makers for a model. Tyre makers and tyre types authorised by the manufacturer are shown in the vehicle registration documents, or stated in a wheel report in the case of a subsequent change. (See also General Operating Licence). Since the start of 2000, any manufacturer tie-ins for cars have been abolished. Regardless of any entry in the documentation, every tyre maker is authorised. The exception is pure ZR tyres, these require the authorisation from the manufacturer and an entry in the documentation. Matching is part of the tyre fitting process which helps the wheels turn in the best possible way. Any irregularities in the roundness of the wheels and tyres are combined in such a way that they more or less balance each other out. Matching is carried out before the actual wheel balancing. Tyres with this designation have been developed and manufactured according to certain specifications and requirements of the car manufacturer McLaren. Tyres with this code were specially developed as original equipment for the Maserati Quattroporte. Michelin Acoustic Technology (MAT) reduces vibration in the interior cavity of the tire, thereby limiting the volume of rolling noise. Inside the tire is a special polyurethane foam which can reduce noise levels by up to 20%, depending on the vehicle. Mileage means the active life span of a tyre before it has to be replaced. This depends on the construction and quality of the tyre, as well as the type of vehicle, type of driving, UV radiation, storage and many other factors. The tyres on the drive axle lock up more quickly, as they are driven more strongly by the increased slip. The following applies across the whole EU: The legally required minimum tread depth is 1.6 mm. For cars, vans, lorries and motorbikes, a minimum tread depth of 1.6 mm applies right across Europe. This minimum depth must be present over the whole tyre contact area. When a tyre approaches this legally required minimum tread depth, braking distance in the wet increases, and there is a higher risk of aquaplaning. The braking distance when aquaplaning with a tyre with the minimum tread depth of 1.6 mm is double that of a brand new tyre. For safety reasons, summer tyres should be replaced when tread depth is 2 mm, wide base tyres when it is 3 mm and winter tyres when it is 4 mm. Mixed tyres is an informal term with several meanings. Legally, mixed tyres means the simultaneous use of radial and diagonal tyres on the same vehicle. This use of mixed tyres is not permitted. In addition, mixed tyres can refer to the use of different sizes of tyres at the same time on a vehicle. This is fundamentally banned with regard to cars. One exception to this is where different sizes of tyres are fitted per axle on some sports cars. This is explicitly stated in the car’s paperwork or the rim’s General Operating Licence. It is only acceptable to use a spare wheel of a different size for a short period of time. In this case, please note the instructions on the spare wheel. A third interpretation of “mixed tyres” is the simultaneous use of tyres of the same size, but with different tyre profiles. This is permitted. Winter and summer tyres may also be mixed. However, neither of these is recommended: Given the different driving properties of various tyre profiles, the vehicle might pull in a certain direction when braking for example, or behave differently when cornering left or right. Moreover, cars may only be driven in winter conditions with “M+S” tyres. In general, tyres with the same profile should be fitted to the same axle. The tread depth on opposing tyres should not be too different. This applies particularly to 4 wheel drive vehicles. In this case, all the tyres should have the same profile and similar tread depth, to avoid any damage to the centre differential. Please note the instructions in your user manual. Tyres with this designation have been developed and manufactured according to certain specifications and requirements of the car manufacturer Mercedes. This abbreviation stands for “Multi Service Tyre” with regard to motorbike tyres. Tyres with this designation are suitable for use on various surfaces. The abbreviation MT stands for Mud-Terrain. Off road tyres with this additional code have an especially rough tread, which provides traction even in deep mud. The three part rim consists of a wheel star, an outer flange and an inner flange. The three parts are screwed, riveted or welded together. The two part rim consists of a) Wheel star, base or b) wheel star with outer flange and base with inner flange (moulded in one piece). Both pieces are screwed to the rim base. These abbreviations stand for Porsche specifications. New Porsche vehicles fitted with approved Pirelli tyres come with this special marking. These tyres have been developed and manufactured according to certain specifications and requirements of the car manufacturer. A new Toyo method of incorporating active polymers into the tire, along with an improved silica compound mixture, helps reduce rolling resistance and heat generation for improved wet adhesion. This new technology from Nexen was developed using oil derived from natural, sustainable substances instead of fossil fuels. During processing, it is mixed with silica oil to reduce its viscosity and to improve both machinability and dispersibility. This technology makes the tyre eco-friendly and fuel-efficient, with improved snow and ice performance. Falken’s high-end production technology with advanced tyre architecture, combining innovative materials and perfecting tyre shape uniformity. It enhances comfort and improves the performance by reducing tyre weight and rolling resistance. Not for Highway Service (NHS) means that tyres marked NHS, and without any service description, may not be used on public roads. The abbreviation No LBL stands for a tyre which has no coloured lettering on the side wall. This is naturally only used when that tyre is also available with coloured lettering. Aramid is a polymer plastic, characterised by its high durability. Tyres with Nokian Sidewall technology are highly resistantto damage and abrasion. Compared to conventional tyres, Nokian Sidewall technology tyres have sturdier sidewalls which reduce the impact of bumps and save the tyre, the rim and the vehicle. The curved, ramp-like design of the tread blocks on the inner shoulder guides and accelerates the flow of water from the longitudinal grooves into the transverse grooves. The excellent aquaplaning prevention properties are retained even as the tyre wears down. Non marking tyres are tyres designed for a clean environment, as they do not leave any marks (stripes or streaks). For example, they are fitted to vehicles used in warehouses in the grocery sector or in hospitals. On Bridgestone motorbike tyres, NT stands for “New Technology”. Tyres with this identifier are different from their predecessors in terms of improvements to stability, grip, handling and wear. Specially designed side wall lettering with narrow white stripe. Special design of the side wall. Tyres with a narrow white stripe on the side wall. Special design of side wall lettering, with a white surround to the letters. An OE identical wheel is a steel wheel which was produced according to the same manufacturing specifications as the standard wheel fitted by the car manufacturer. The only difference between an OE identical wheel and the standard wheel originally fitted is the missing manufacturer trade mark and part number. An additional General Operating Licence is not required. Original equipment: refers to tyres which have been developed according to the requirements of a vehicle manufacturer, for a certain model. The vehicle in question is delivered with these tyres. Off-road tyres are special tyres for use off-road. Tyres for mud, sand specialists, all rounders for road and off-road with M+S id, winter tyres, and also high performance road tyres are all available. Off road tyres are tyres with special properties for use away from public roads and cross-country. Special design of side wall lettering, with gold contoured letters. Orange Oil is the technology that delivers fuel efficient and high performance driving for sports cars. It also solves the grip on low rolling resistance. Orange Oil comes from the orange peel and this keeps the rubber tyre compound soft and flexible. It makes the tires work in cold and wet conditions where the rubber normally loses grip. Special design of side wall lettering, with slightly raised black contoured letters. Special design of side wall lettering, slightly raised, white, contoured letters. Too much air pressure is just as damaging as too little. Shock absorbers and comfort suffer, grip declines and the tyres also generally wear faster and unevenly (centre wear). Over-steer is the term used to describe when the rear wheels lose grip before the front wheels. The vehicle swerves at the back and skids out of the corner. Driver assist systems such as ESP try to minimise this behaviour. Special design of side wall lettering, with white contoured letters. The letter “P” on tyres from the USA stands for private car. This differentiates them explicitly from LT tyres for commercial vehicles. This is particularly useful where sizes overlap. The PAX system is an emergency running system which uses special rims, support rings and tyres in place of reinforced side walls. The spring of the tyre is comparable with a normal tyre. When there is a sudden loss of pressure, you can keep driving on the rim ring. In the event of a flat, top speed is restricted to 80 km/h and there is a limit on permitted mileage. Please note: Support ring systems such as the PAX system from Michelin require special rims, specially adapted fitting equipment and mechanics who are specially trained in this type of fitting. Please ask your tyre specialist if this service is available. This special characteristic offers the exclusive possibility to personalize your Pirelli tyre within the range of 4 different colours in order to make your care unique. The 4 colours available for this special edition are: Red, Silver, White, Yellow. PNCS - Pirelli Noise Cancelling System. These tyres are designed to be as quiet as possible. PNCS Tyresare fitted as original equipment in some Audi and Range Rover cars. "Professional Off-Road" abbreviation: tyres for commercial traffic use. POR tyres are specially designed for bad rolling conditions or for deteriorated roads conditions. Information: POR tyres do not have EU labels as they do not meet the tyre EU labeling directives. POR is an abbreviation for Professional-Off-Road: Tyres for commercial use. The tyres are designed especially for poor roadconditions. Please note: POR Tyres do not have an EU-Label, as they do not conform with EU tyre label guidelines. This originally referred to the number of layers of cotton cord in the carcass. The more layers of cord, the greater the strength. As stronger materials were introduced for the layers, the term no longer related to the actual number of cord layers. So a tyre with a PR of 8 might only have 4 layers of nylon cord, corresponding to the strength of eight cotton layers. Nowadays, the strength of road tyres is indicated by the load and speed indices, instead of ply rating. The profile ratio of a tyre is shown as a percentage. It shows the height of the tyre as a proportion of the width and is shown in the dimensions of the tyre. For example: A tyre size 205/55 R16 is 205 mm wide and the side height is 55% of the width. Special design of the side wall with a thin white pinstripe. Race tyres are tyres which are only suitable for the race track. They are not approved for use on public roads. Radial tyres were introduced by Michelin in 1948 under the name “X-Technology” and are now the standard for cars and lorries. The height of the wheel measured from the centre to the ground is known as the static radius. It is always measured with the same load on the tyres and pressure conditions. These abbreviations are found on motorbike tyres. A motorbike tyre is tested on each motorbike it is due to be approved for. So for example if a motorbike becomes unsteady as certain speeds, the tyre will be adapted. This alignment can take the form of a different carcass development or an amended rubber compound. In general, only motorbike tyres which have full additional clearance in the vehicle licence or have this additional clearance identification for that motorbike should be used. Special design of side wall lettering, with red letters. Tyres with a special red side wall. While we often refer to refitting summer or winter tyres, refitting really means replacing the standard tyres with wider tyres and rims. When refitting wheel/tyre combinations, you should always bear in mind the permitted size, conditions and test certificates. Regrooving refers to a one-off deepening of the tread grooves, in order to increase profile depth. This is considered as part of the manufacturing process of the tyre. Regrooving is only allowed on commercial vehicle tyres which have "REGROOVABLE" on the side. Regrooved tyres may only be fitted to the steering axle. This also applies to the spare wheel. Regrooving should only be carried out by an expert in accordance with the manufacturers guidelines. So called reinforced tyres are specially strengthened tyres which are designed to carry heavier loads, for example on vans, small buses and off-road vehicles. Fitting alone does not automatically increase load-bearing capacity however, they also require a corresponding higher tyre pressure. In addition, the load index figure shown in the vehicle’s paperwork will apply. Some tyre manufacturers also use other designations for their reinforced tyres, such as XL/EL (extra load) or RFD. Caution, several meanings: With some manufacturers “RF” also stands for “runflat”. Caution: RF-/XL tyres are not C tyres, even if they resemble them with regard to size and load index. Therefore you should check the paperwork for your vehicle or ask the manufacturer which tyres you can use. Many forms of damage are visible to the naked eye, even to a non-expert. So you should make the effort to inspect your tyres every so often. Tyre specialists also offer low-cost tyre checks. Cuts, splits, lumps or broken tread are all cause for concern, as well as any penetrating foreign bodies such as nails. Uneven wear of the running surface is frequently caused by wear and tear of parts in the chassis or steering. But the brakes or an imbalance in the wheels can cause tyre damage of this kind. If you find any kind of damage or irregularity in your tyres, you should refer to your tyre specialist as soon as possible. Some kinds of tyre damage can be repaired, saving money and resources. it is not possible to make a global statement about what damage can be repaired without endangering driving safety. Often it is inevitable that the damaged tyre must be replaced. Ultimately, only an expert can judge this. Unique marking that visually shows the need to replace the tire by changing from “Replacement Tire Monitor” to “Replace Tire” based on tread wear. Fundamentally, tyres must be replaced when the tread depth reaches the legal minimum. In general, tyres (for example spare tyres) should not be more than six years old. Any replacements due to wear and tear should be done axle by axle. Please bear in mind equal profile depth, type of profile and manufacturer. Never buy or fit used tyres where you don’t know where they came from. All tyres must satisfy certain requirements. So for example, load bearing strength must be guaranteed as well as the highest possible levels of driving force, braking power and lateral strength both on dry roads, as well as on damp surfaces, in the wet and on snow or ice. Other requirements are: Strength at high-speed, robustness, abrasion resistance, low rolling resistance, low noise production, suspension properties, favourable driving behaviour, resistance to ageing. When the running surface of a tyre reaches the limit of wear, but the other components of the tyre are unaffected, the tyre can be retreaded. A legal condition of this is that the side wall must be marked “retreadable”. When retreading, the carcass, steel belt and side wall are initially checked for faults. Then the worn running surface is removed and replaced with a new one. This can be done by cold or hot vulcanisation. The side wall is then marked “retread”. High quality retreads are a low-cost alternative particularly in the commercial vehicle area. Under the term “Ridge N Flex”, Michelin combines three innovations for winter tyres which together should offer maximum grip and steering precision. The tread is furnished with numerous profile edges (Maxi Edge) arranged at various angles (0°, 15°, 30°, 40°, -25°), which enable strong dovetailing with the ground. Specially designed, self-blocking lamellae (StabiliGrip) stabilise the tread bars and improve steering precision. And the rubber compound (HelioCompound) furnished with silica and sunflower oil remains supple and flexible even at low temperatures and improves grip on winter roads. The rim assessment certifies the test properties such as the strength of the rim. It is required for registering the wheels at a test centre. The rim base is the area between the rim flanges. This is where the width of the rim is measured. As with rim diameter, width is measured in inches. The common international size specifications for rims (e.g. 7Jx15) indicate the width from flange to flange (in this case 7 inches) as well as the height (in this case 15 inches). The “J” stands for the shape of the hump. Rim contour or rim profile means the rim’s construction type. For example, “J” describes an asymmetric base. The rim diameter is the area the tyre sits around. It binds (seals) the inner radius of the tyre and thus connects the rim to the tyre. The rim flange is the outward bending edge of the rim. Weights may be attached to this to help balance the wheels. The rim protection on a tyre consists of a rubber strip which runs along the ridge on the outer sidewall. It protrudes somewhat over the edge of the rim and thus protects the rim e.g. when the tyre comes in contact with the kerb. Depending on the design and the tyre-rim combination being used, the rubber strip can also protect the sensitive sidewall from being damaged. The protective function is effective at low speeds, for example when parking. If the rubber strip is badly damaged or if parts of it are torn or broken off, the tyre should be checked for additional damage. Many tyre manufacturers use their own designations and abbreviations. The use of a rubber strip as rim protection is neveltheless the same for all of them. Common designations are: rim protection strip (FSL, FL, ML, MFS, MFSL), rim rib (FR), rim protection bar (RPB), fringe protector (FP). The area on the rim between the rim flange and hump which the tyre sits on is known as the rim shoulder. The interior size of the rim is measured between the rim flanges. The rim holds the tyre. Generally steel is used in the manufacturing process. In addition there are light alloy wheels made from aluminium or magnesium alloys. These have better run-out accuracy, reduce the weight of the unsprung mass and improve the appearance of the vehicle.For examplefor rim size: 6Jx15 H2 = 6 inch rim width, flange design "J", 15 inch diameter, hump design "H2"
Special design of the side wall with raised, black lettering. These markings stand for a special Audi specification, amongst others for R8, RS4, RS5, RS6. These tyres have been developed according to certain specifications and requirements of the car manufacturer. Special design of side wall lettering, slightly raised. contoured, black letters. “Rockproof” is a summer tyre from Nokian for light trucks and SUVs which are developed for use in difficult conditions, e.g. in forests, quarries, mining regions, on gravel roads. The high cut resistance of the rubber compound and increased thickness of the upper sidewalls should ensure robustness and a long tyre lifespan. Additionally, “Aramid Sidewall Technology” is employed: Aramid fibres manufactured from polymer plastic, also used in e.g. the security sector and the aeroplane industry due to their high rigidity, strengthen the sidewalls for protection against bumps and cuts. Tread bar supports and stone deflectors in the groves are additional measures for improving stability and safety and preventing tyre damage. Rolling circumference indicates the distanced covered by any point on the tread during one revolution of a wheel. Therefore the rolling circumference depends on the diameter of the tyre. It has an influence on the transmission and also the tachometer drive. Based on standard production tyres, a tyre with a smaller rolling circumference will tend towards shorter transmission. This has a positive influence on acceleration, but the rev counter could well be in the red at top speed. In addition, the smaller tyres lead to increased speedometer signal swift. Tolerances of plus 1.5% and minus 2.5% are acceptable. Where there are larger deviations, the speedometer must be corrected, at the very least. Rolling resistance indicates the force needed to move the tyre. Winter tyres have a higher rolling resistance than summer tyres due to their deeper, more heavily treaded profile and their higher pressure per square centimetre. Load and tyre pressure also come into consideration. Special design of side wall lettering, slightly raised, contoured. white letters. Special design of side wall lettering, slightly raised black letters with recess. Special design of the side wall. The lettering is serrated inside the edge. A tyre can consist of up to 16 different rubber compounds. However, the tyre manufacturers keep the exact composition to themselves. In order to make a good tyre, a lot is demanded of the rubber compound: low abrasion, tear-resistance, anti-slip properties, low rolling resistance, dynamic stability, air tightness and resistance to ageing. There are various kinds of rubber used in tyre manufacturing. As well as natural rubber (harvested from the sap of the hevea tree in equatorial plantations), we are now turning increasingly to artificial or synthetic rubber. Good, circular running of tyres is important for comfort and permanent, complete contact between the contact area and the road surface. If the wheel does not run in a circle, the driver will feel this in the steering wheel. A tyre specialist can check the roundness of your tyres and help if required. Runflat tyres (manufacturers use a variety of names) are tyres with emergency running properties, which allow the motorist to keep driving for a limited distance when tyre pressure is lost and / or tyre pressure is too low. However, the vehicle must also be fitted with a TPCS. The runflat system works with a reinforced side wall which more or less keeps its shape in the event of a loss of pressure. These means the driver can keep control of his vehicle if pressure is suddenly lost. Travelling at max 80 km/h, he can then look for the nearest tyre specialist within a radius of 80 km. Runflat technology offers the driver a clearly recognisable benefit, and a real plus in safety and comfort. In addition, you don’t have to change the wheel when you have a flat, removing any need for a spare wheel. All runflat tyres have the common RSC (Runflat System Component) symbol on their sidewall. The running surface is the only part of the vehicle which is in contact with the road surface, and is responsible for transmission of power, alongside the other tyre components. This means the contact area of the tyre - the part of the running surface which touches the road surface - is not much bigger than a postcard! The running surface must handle acceleration and braking power in the direction of travel, and also lateral force when steering and cornering. The performance of the running surface is largely determined by the sub-structure (belt, carcass), the bead and side area, but the design of the tread is absolutely critical. Special design of the side wall with raised, white lettering. Since 01/10/2009, only tyres with an “S” on the side can be sold. This stands for “sound” and indicates tyres with low road noise. There is, however an interim ruling, which allows dealers to sell tyres without the “S” after the deadline of the 01/10/2009. A condition of this is an appropriate certificate from an approval authority stating that the tyre meets the noise level standard even without the explicit identifier. The ruling only applied to tyres up to 185 mm wide. For car tyres 185 mm to 205 mm wide the sales ban has applied since the 01/10/2010, and for wide base tyres from 215 mm, since the 01/10/2011. This code stands for the original equipment on Peugeot models. These kind of tyres have been developed and manufactured according to certain specifications and requirements of the car manufacturer. Pleas note: The tyres can also be used on other vehicles. Saw tooth is the name tyre technicians give to the uneven abrasions on the horizontal edge of tread blocks in the direction of travel of the tyre. At an advanced stage, saw teeth can often cause serious vibrations in the steering wheel and also road noise. As saw teeth start to from, it can help to change the wheels between the front and rear axles. In a severe case however, you should ask or advice at your tyre specialist. Special design of the side wall with serrated black lettering. The Sealguard technology developed by Hankook, self-seals punctures of up to 5mm on the running surface. The tyre is protected from so many causes of punctures that, as per Hankook, it it not necessary to have an additional spare tyre. The technology is used in the Hankook Ventus Prime2 Sealguard and is fitted as original equipment in many Volkswagen models. Self Seal Technology refers to tyres which can re-seal themselves in the event of damage, e.g. by a nail puncture. The tyre contains a special polymer coating which, in the event of a puncture, embeds itself in the damaged area of the running surface, sealing the hole. However, the tyre should be replaced as soon as possible. Self Seal Technology is available from Pirelli (Seal Inside), Michelin (SelfSeal), Continental, (ContiSeal), Hankook (Sealguard), Bridgestone (Driveguard), and other manufacturers, in specific tread patterns. Better known as runflat tyres. All self-supporting tyres have a reinforced sub-structure, an adapted carcass and belt, as well as stiffened side walls and bead areas. Shoulder abrasion refers to the high level of abrasion on the shoulders of the tyre compared to the middle of the tread. Increased shoulder abrasion can occur both on one side in isolation and both sides at the same time. Abrasion on one shoulder occurs mainly when the position of the wheel in relation to the road surface is not ideal. In this case, tracking and camber should be checked with an axle measurement. Shoulder abrasion on both sides is mainly caused by low tyre pressure or over loading. On wide base tyres, more shoulder abrasion is normal. All the information relating to the tyre is located on the side wall. In order to avoid any damage, it may be fitted with a flange shield on the outside. External damage can occur when driving hard over a kerb. In addition, this can also break the integrated carcass fibres. Alongside the tyre shoulders, the side walls flex the most and are therefore exposed to very high loads. Latest technology innovation for SUV drives that gives a strong and tough tyre combined with comfortable, quite and performance of a car. The super absorbent layer between the tyre tread and underlying belts provides a smooth and quite riding experience. Silica is the name for the salt of silicic acid. Using silica stabilises the network of connections between the individual materials in the rubber compound. Compared to regular structures, silica increases the strength of the material. This reduces wear and tear, and increases mileage. The tyre also grips the road better, as the compound can be designed to be softer due to its increased strength. Slick tyres are racing tyres without any tread. Slip is the difference between the geometric circumference of the wheel and the distance actually covered by one revolution of the wheel. Slip is 100% when the wheels spin or lock. So the higher the drive or braking force, the greater the slip. Even if you don’t notice it: There is always a small degree of slip when driving, and the tyre rubs on the road surface with every revolution - hence the wear and tear on tyres. Slip angle refers to the difference between the position of the wheel and actual direction of travel. A high slip angle requires a lot of steering lock in order to bring about a change in direction. A certain degree of slip angle is needed for the wheel to generate cornering force. The stiffer the tyre construction, the lower the angle, and the safer the driving behaviour. This feature prevents air loss from the tyre if it is penetrated by a foreign object; if the object is then dislodged, the tyre seals itself. This is done by means of a sticky layer located in the inner liner area. Nexen SmartSeal technology seals punctures less than 5mm in diameter in the tread area. SmartTRED technology from Goodyear guarantees excellent traction in winter and optimum grip in summer. The combination of stable shoulder blocks, strong lamellas in the middle, and a special base contact area ensures self-activating, flexible adaptation of the tyre to changing road conditions. Snow chains are a driving aid for vehicles on snow covered roods or muddy ground, and they are mounted on the tyres. We differentiate between full snow chains and start assistance. Snow chains improve traction on ice and snow, and the direction of the wheels. They consist of chain links made from hardened steel. Depending on the chain pattern, you can choose from ladder chains, zig zag chains, or diamond pattern chain, which is the quietest and safest type. Fitting is made easier by a so-called endless chain. You should always watch your top speed when driving with snow chains! On some winter or all-weather tyres there is also a snowflake symbol. M+S tyres with a snowflake meet a high quality standard and help easy identification of tyres with certified winter properties. The official snowflake stamp only comes in combination with the M+S marking. This unique technology consists of slats with locking bar in the upper area, high slat density and flexible profile blocks. This features excellent braking performance on snowy roads. Tyres with Hankook’s patented “Sound Absorber” technology are fitted with lightweight foam sheets on the inside of the tyre. During driving they reduce the air vibrations in the tyre which can cause an unpleasant droning at certain speeds. With “Sound Absorber” technology, peak noise levels inside the car should be noticeably reduced. Containing a noise absorbing foam attached to the innerliner of the tyre, this technology reduces vehicle noise up to 4db(A), featuring a light and durable solution, maintained over the entyre life of the tyre. Specially designed side wall lettering with serrated, contoured white letters. The spare wheel is a slim wheel mainly kept under the boot, or under the vehicle itself. In the event of a flat, it can be put on the vehicle in order to get to the nearest garage. When driving with a spare wheel, the speed indicated on the spare tyre should not be exceeded. The spare wheel should only be used for a short period of time, in order to avoid any damage to the axle differential. When you check your tyre pressure, you should also check the pressure in your spare wheel. This means your spare wheel will be ready for action in the event of a puncture. Caution: If you normally drive on alloy wheels, the wheel bolts may not fit the spare wheel. So you should always bring along the bolts for steel wheels. An inflatable spare wheel is a special kind of spare which is kept deflated in the car. Before changing wheels it must first be inflated with a compressor. In general, only motorbike tyres which have full special clearance in the vehicle licence or have this special clearance identification for that motorbike should be used. Additional vulcanised steel or hardened metal pins which stick out 1.5 - 2 mm from the running surface in the tread of winter tyres are known as spikes. These are designed to give the vehicle more grip, above all on icy roads. The disadvantage is that tyres with spikes have much less grip on dry roads that an a pure rubber tyre. In addition, there is much greater wear on the road, as spikes cause cracks on the road more quickly. For these reasons, they are only permitted at certain times of the year, depending on the country in question. In Germany and some other countries they are generally banned. In addition, speed restrictions are generally enforced. The speed limit is 80 km/h on main roads and 100km/h on motorways. Spikes are permitted on vehicles up to 3.5 t.
When driving with spikes it should be noted that road noise increases considerably, and that braking distance on a dry road surface also increases. Note: Tyres with spike holes or spikes must not be marked with an “S”, as these can not meet the required noise regulations because of the spike holes or spikes. Specially designed side wall lettering with slightly raised, serrated, black letters. Stabiligrip is a winter tyre technology from Michelin which aims to achieve more grip and steering precision through the optimisation of the lamella design. The treads contain a multitude of three-dimensional, self-blocking lamellae, which reach up to the base of the tread, and are arranged at various angles. They stabilise the tread bars and create a large number of gripping edges, which lock into the ground. StabiliGrip Lamellae improve the ability to penetrate the water film, and thus ensure more contact with the road. Steering precision in the context or tyres and vehicles relates to their ability to steer in and out of corners, and also driving behaviour in the corner itself. High performance (Y and ZR) tyres designed for sports driving generally have a high level of steering precision. Stopping distance is the sum of reaction distance and the actual braking distance. In summer, winter wheels must be stored properly, and in winter your summer wheels. The easiest for the motorist is to leave his tyres and wheels with the tyre specialist. Not only will the tyres be stored properly here, they can also be checked for damage and cleaned if desired. remove any loose chippings from the treads. Choose a dry, dark, cool storage area, free from petrol, oil, grease and other chemicals. Ideally, stack your wheels on a wheel tree. Alternatively, you can stack your wheels flat on top of each other. In this case. we recommend balancing the wheels before they are fitted on the vehicle. Tyres without rims should be kept upright and turned now and again. Studless tyres are winter tyres without spikes, which also may not be fitted with spikes. Compared to winter tyres, the rubber compound in summer tyres is less elastic in order to function more effectively at high temperatures: Rolling resistance and wear are reduced, giving better results with regard to mileage, driving comfort and steering stability. Summer tyres are designed for dry roads, high temperatures, high speeds and the corresponding temperature requirements, as well as damp and wet road surfaces. The parts joining the chassis and the wheels are called the suspension. The main task of the suspension is to keep the wheels in contact with the road at all times. This means it determines the road-holding, driving comfort and safety of a vehicle. The wheels can be attached to the suspension individually (independent suspension) or together with an axle (rigid axle). The main components of the suspension are: Transverse control suspension, springs, shock absorbers and stabilisers. A Sport Utility Vehicle is a vehicle which can be driven both in the town and off-road. Specially designed side wall lettering. The side wall is decorated with a ring, which vertical ribs (similar to the underside of some mushrooms. Tyre with white side wall. Specially designed side wall with a thin white stripe. Trapezoid Contour Theory (TCT) is a tyre technology from Hankook. TCT stands for an innovative design of the tyre tread, based on trapezoid contours. By using a trapezoid shape, driving comfort and safety of the tyre are considerably increased. On sharp corners, there is very little lateral distortion due to the trapezoidal tread. Tyre temperature has a considerable influence on the coefficient of friction as well as slip and slip angle. In low temperatures the coefficient of friction is on the low side, but it rises as temperature rises. If operating temperature rises further, the coefficient of friction falls as does the force transferred. The coefficient of friction of rubber is temperature dependent. Accessories not covered by the General Operating Licence are subject to compulsory testing at a test centre. These accessories can only be fitted to a vehicle once authorised. Then they must be entered in the vehicle documentation with the TÜV and the vehicle licencing office. This abbreviation stands for tubeless tyres. In this case the tube is replaced by a inner liner, an air-tight coating. Tubeless tyres are standard nowadays with cars and lorries. Tracking describes the angle between the wheels when viewing the car from above. When the wheels point outwards, this is called “toe-out”. Toe-out can be used to equalise the driving forces which impel the wheels forwards. This reduces wear and tear on the tyres. The TOP(Tread Optimal Performance) Indicator Technology helps users to know whether the profile is still adequate for winter conditions. Tyre profile depth can be easy evaluate without auxiliary tools. Nuts and bolts on a wheel must be tightened to a certain level. The tighter the better does not always apply to these bolts! If nuts and bolts on a wheel are tightened too much or unevenly, it can deform the wheel bearings, the brake discs and the rim. The wheel nuts and bolts may break off. To tighten nuts or bolts properly, use a torque wrench diagonally. You can get these with adjustable torque at any car accessories specialist. The torque required is different from vehicle to vehicle and from rim to rim. The correct torque for any original rim will be in the car’s instruction manual, and for after-market rims it will be in the relevant section of the General Operating Licence. It is much safer, and much less effort to leave this to your tyre specialist. He will he happy to tighten the nuts for you after a certain mileage (at least 20 km, 200 km at the most). Tyre pressure monitoring systems (TPMS) monitor tyre pressure. They are used in wheel tyre systems with emergency running features. There are direct systems, built onto the valve, and indirect systems, which take the tyre pressure from the wheel revolutions on the ABS sensor. TPMS is an EU requirement for all new vehicle registrations up to 3.5 t.
Other names for TPMS are: Tyre Safety System and RTPMS: Remote Tire Pressure Monitoring System. Moreover, in the USA market, tyre pressure monitoring systems have been a legal requirement on all new vehicles with a registered total weight of up to 4.5t since 2007. Tracking refers to the relative position of the wheel when viewed from above. If they are slightly closer at the front than at the rear, then they are called toe-in. If the wheels are closer together at the rear, then they are toe-out. On front wheel drive vehicles, toe-out reduces the influence of driving force on steering, whereas rear wheel drive cars are set up toe-in. The friction between wheel and road tries to push the wheels out on each side, but the power of the front wheel drive tries to push the wheels together. When steering the car into a corner, the slightly negative tracking created by the arrangement of steering linkage and wheel suspension is more pronounced with toe-out: The wheel on the inside of the corner turns more than the one on the outside. This is necessary because the inner wheel describes a tighter circle. This ties in with support of the steering movements and steering force. Traction is the ability to convert engine power into forward motion by means of interlocking with the road surface. Traction is no problem on dry roads. It only starts to fall in the wet, or on ice and snow. Then the gripping ability of the rubber compound and the tread profile (v-profile, lamella tyres for snow) plays a decisive role. The positive and negative tread of the tyre is made from tread compound. The performance level of a tyre when driving essentially depends on this - in the wet, or in hot conditions, and when transferring lateral or linear power. The tread compound also partly determines mileage and noise properties. Safety depends on the tread of the tyre, particularly tread depth, especially in the wet or in mud or snow. New car tyres have a tread depth of more than 8 mm approx. The legal requirement (§36 StVO) is a minimum tread depth of 1.6 mm. You can check whether this minimum depth has been reached with a tread indicator (a marker in the tread grooves). The location of these markers is indicated by the letters “TWI” on the shoulder of the tyre. If this marker is clearly visible, and is at the same level as the rest of the tread, then they tyre is down to the minimum of 1.6 mm. Experts recommend car summer tyres are changed when tread is down to 2mm, wide base tyres should not go below 3 mm, and winter tyres start to lose their effectiveness when tread is down to 4 mm. A driver who allows his tyres to go down to the permitted limit of wear and tear is not just breaking the law, they are also putting their insurance cover at risk. This abbreviation stands for a tyre which needs an inner tube. Tread wear indicators are built into the tread grooves on the running surface. When tread depth is 1.6 mm, they form a continuous bar with the tread itself. The location of these indicators is shown by triangles on the side wall, the letters TWI, or small, brand-specific symbols. Twin tyres means fitting two tyres on both sides of the axle. Twin tyres are used particularly on the rear axle of commercial vehicles. On axles with twin tyres, you should avoid mixing different tyre manufacturers and tread patterns. Only tyres with the same air pressure and dimensions should be used together. Caution:For twin tyres, the lower load index applies. On the one hand, small amounts of ozone in the atmosphere penetrate the rubber of the tyre, and affect the sulphur compounds between the rubber molecules. This means the rubber loses its elasticity. On the other, tyres also age when they are stored, unused, and they harden, becoming brittle and porous. This can then lead to hairline ageing cracks. Sun, wind and weather, as well as contact with grease, oils and chemicals attack the tyre and speed up the ageing process. Tyres from the only point of contact between the vehicle and the road. This means they should be checked regularly. The most important things here are tyre pressure and remaining tread depth, which must not be below 1.6 mm in the EU. The correct tyre pressure can be found in the vehicle’s user manual, or from the manufacturer and tyre specialists. If a tyre loses an excessive amount of air, then it should be checked out for damage by an expert. He can spot any damage which, if repaired in good time, will improve the safety, comfort and life of the tyre. You should check your tyre pressure every other time you refuel at the very least. This is also possible when the tyres are filled with a special gas (e.g. nitrogen). However the special effect of the gas gradually disappears as you top up with normal air. Tyre damage is irritating and replacing tyres is generally very expensive. To offset this, you can insure your tyres against irreparable damage: whether cuts from shards, tears in the side wall or curb impact. The financial outlay for tyre insurance is very manageable, and can be calculated individually, and some insurers allow you to only insure two tyres instead of all four. Tyre insurance is particularly worthwhile with regard to high value tyres in the premium range. In order to develop and produce a new tyre, you must go through several steps. comprehensive final checking of every individual tyre. Which tyre is suitable for your car is shown in the registration document or the vehicle licence part 1 and the CoC paperwork. You should only buy and fit the authorised tyres, otherwise your vehicles registration licence will lapse. Basically, the following applies: Tyres should be replaced at least per axle. Tyres from different manufactures, with different treads or different tread depth should not be used on the same axle, as this can lead to uneven driving and braking properties of the vehicle. Ultra High Performance tyres are very wide, and can withstand speeds of at least 240 km/h (speed index V). Compared to regular tyres, they perform better when changing lanes, and offer better driving stability. This stands for the ultra light construction of radial tyres which Dunlop introduced in 1994. Tyres made in this way reduce the weight of the vehicle by 12 kg. Ultra Mileage and Safety (UMS) technology developed by Hankook sets new standards for the development and production of lorry and bus tyres. UMS guarantees a longer life span and higher mileage, maximum handling and safety, plus optimum comfort and economy. If you drive with too little air in your tyres, you will jeopardise safety and experience a number of disadvantages e.g. damage to long term strength, spongy driving performance, reduced mileage from the tyres, higher fuel consumption. So the following rule of thumb applies: Check your tyre pressure every two weeks, when your tyres are cold. Under-steer is the term used to describe when the front wheels lose grip before the rear wheels. The vehicle skids out of the corner over the front wheels. Uniformity is what tyre technicians call the manufacturing accuracy of a tyre. Uniformity is an important condition for a wheel to roll perfectly and quietly, without irritating noises and vibrations. The better the uniformity of the tyre, the easier the wheel is to balance. This system incorporates the same principles as RunFlat technology, but this new Nexen technology has added benefits: URS uses Profiled Insert design to disperse the internal stress and filler design, Intensified Insert and Bead, which disperse the internal stress on the flexing parts. Benefits of this new technology include optimal vulcanizing and declining prevention of physical properties. The UTQG quality grading established by US department of transport rates the tyre’s performance level based on three criteria: Tread wear, Traction, and Temperature Resistance. It only applies to tyres (excluding winter tyres) with a rim diameter of at least 13 inches. The tread wear figure is a comparative value based on wear and tear of a tyre compared to a standard tyre which has been tested on a certified test track under controlled conditions. A tyre with the rating 150 will wear one and a half times more slowly than the standard tyre, which has a tread wear rating of 100. The actual tyre performance depends on the relevant conditions of use, and can deviate substantially from the norm due to driving behaviour, maintenance, different road surface properties and weather conditions. The Traction rating is shown by the letters AA, A, B and C in descending order. It indicates the grip properties on wet surfaces, and is measured under controlled conditions on a certified test track. Temperature: Temperature is shown by the letters A, B and C. These values show how resistant the tyre is to heat, and how well it can disperse the heat on a pre-determined test wheel under controlled, laboratory conditions. Excessively high temperatures can have a negative effect on the material of a tyre, reduce its life, and cause frequent tyre damage. The temperature rating relies on tyres having the correct air pressure, and excludes over-inflation. Excessive speed, incorrect tyre pressure, and over inflation, in isolation or together, can cause a build up of heat or tyre damage. We differentiate between two types of valve: Rubber valves, which seal off the whole in the rim themselves, and metal valves, which use a grommet for sealing. Caution: Valves are very sensitive to dirt, dust and humidity. Therefore, the valve cap must always be screwed on firmly. Valve caps protect the actual valve from dirt and moisture. Vector is the product name for the innovative all year tyre range from Goodyear. Vmax is a range of tyres from Continental, which was specially developed for specially tuned models and super sports cars. These tyres are approved for speeds up to 360 km/h on the road. This marking is found on the side wall of original tyres supplied with Volkswagen models. These tyres have been developed and manufactured according to certain specifications and requirements of the car manufacturer VW. Specially designed side wall lettering which is serrated inside the edge. Variable Thickness Sipe (VTS) is a lamella system from Michelin for high performance tyres up to 240 km/h - with self blocking lamellas for optimum transmission of power, outstanding handling and steering precision. Vulcanisation is the last stage of the tyre production process, also commonly known as “tyre baking” amongst tyre professionals. Not only does the tyre blank get its final tread in the vulcanisation process, the individual tyre components are also combined by the targeted control of pressure and temperature for precise periods, thus becoming elastic rubber. This takes place at 165-200° C and pressure of 12-24 bar for around 9-17 minutes. On wet surfaces, the tyre’s positive blocks have to divert the water through the drainage grooves. Wear and tear depends on how the tyre ages and level of driving. Durability of the tyre is determined by the driving style, vehicle loading, UV radiation, road conditions and maintenance (air pressure, storage). With the same type of vehicle and tyre, it is possible to find differences in performance of several thousand kilometres. In order to make the wear on a tyre visible, manufacturers equip their product with various optical markings. Small rubber bars in the tread grooves or coloured strips, numbers and symbols on the tread show the level of wear. After wear these markings disappear or become visible. The abrasion indicators give information not only on the actual tread depth, but also on the remaining performance, and thus the safety of a tyre regardless of the legal minimum requirements: Thus the disappearance of a water drop marking on a summer tyre means an increased danger of aquaplaning. And winter tyres lose their winter suitability and should be replaced as soon as the ice crystal marking on the tread is no longer visible. Aside from that, abrasion indicators can indicate wear on one side. Most show symbols, signs and abbreviations on the tyre shoulder, where the wear indicators are found in the tread. In addition to the standard abbreviation “TWI” (Tread Wear Indicator), manufacturers also use their own designations for their wear indicators, for example DSI = Driving Safety Indicator, WSI = Winter Safety Indicator, VAI = Visual Alignment Indicator. The wear pattern of a tyre gives an expert valuable information about whether the tyres are aligned properly, or if there is any damage to the chassis (axle geometry, shock absorber defects etc.). Therefore tyres should be checked regularly by a specialist workshop (around every 10,000 to 15,000 km). The two rubber mixtures in the tread provides optimal balance of wet grip and rolling resistance over the entyre tyre life. This results in a shorter braking distance in wet conditions and less fuel consumption. Unladen weight: Weight of the vehicle when ready for use, weighed without the driver. 75kg for the driver is taken into consideration for commercial vehicles only. Vehicle load capacity: Difference between unladen weight and permissible total weight. Permissible total weight: Fixed upper weight limit which a vehicle can reach including load. Roof load: When limit when using a roof rack or roof box. Roof load generally lies between 50 and 100 kg. If this is exceeded, there is the risk that the otherwise balanced driving behaviour of a car can become significantly worse, that the rack breaks or comes off after a delay. Vertical load: maximum weight capacity of a towbar in a vertical direction. Depending on the type of vehicle, this is normally between 50 and 75 kg. When braking in the wet, the tyre must be able to divert the water under the contact area as quickly as possible, in order to prevent aquaplaning. This in mainly influenced by tread pattern, tread depth and grip. Special silica compounds provide increased grip here. On winter tyres, performance in the wet is also helped by lamellas in the tread block. Balancing is the process of adding weights to the wheels, in order to ensure circular motion of the wheel. Poorly balanced wheels are excessively tough on tyres, wheel bearings and suspension. Uneven rolling of the wheel makes the whole car vibrate right into the steering wheel, depending on speed. This reduces the contact area, speeding up tyre wear. Pressure on the suspension is also increased. The wheel disc connects the rim and the wheel hub. Wheel load is the force exerted vertically on a wheel. It is related to the axle load noted in part 1 of the license certificate. Wheel sensors measure the revolutions of the individual wheels. This makes them part of, and the most important element of the anti-lock systems, traction and stability control systems of a vehicle. In order to widen the tracking of a vehicle, you need wheel spacers which are fitted between the rim and the hub. This allows the rims to stand out further from the wheel arches. Wheelbase is the distance between the front and rear axle, measured in each case from the centre of the wheel. A relatively long wheelbase allows better seating proportions in the interior of the vehicle, creates short chassis overhangs, improves directional stability and reduces pitching motion of the chassis. As the suspension can be better aligned with a longer wheelbase, driving comfort is improved. However, a shorter wheelbase improves manoeuvrability of a vehicle, leading partly to better control and better cornering. Wide base tyres offer a number of advantages over standard tyres. Wide base tyres usually refers to tyres with a profile ratio of 55 and lower (e.g. 205/55 R 16). However, there is no common definition. The advantages include a clear improvement in driving stability, considerably better steering precision and better high speed performance. Wide base tyres also come into their own in winter: You can stop more quickly on compacted snow caused by high volume of traffic. In contrast, standard tyres come out on top due to their higher contact pressure in deep snow and slush. Compared to summer tyres, winter tyres can be recognised by their coarser tread and characteristic lamellas. Winter tyres are more suitable than summer tyres for wintery road conditions because of their special cold-resistant rubber compound. This means the vehicle grips the road perfectly, even at the lowest temperatures. The tread profile which is perfectly adapted to poor weather conditions also minimises the risk of aquaplaning and gives perfect grip on ice and snow. Larger grooves in the tread and extra lamellas guarantee additional stability when moving quickly between snowy, wet, and dry roads. The letters M+S identify winter tyres and winter-ready all weather tyres. On some products there is also a snowflake symbol. M+S tyres with a snowflake meet a high quality standard: In many European countries, winter tyres are compulsory. This varies from country to country. Since 2010 it has been compulsory in Germany to fit winter tyres in wintery road conditions. Specially designed side wall lettering with white letters. Specially designed side wall lettering with slightly raised, white letters. Specially designed side wall with a white stripe on the side wall. Specially designed side wall with a white strip. Specially designed white side wall. Specially designed side wall with a broad white strip. Cross Country tyres are off-road motorbike tyres. Specially designed side wall with a narrow white strip. Runflat tyres with XRP technology by Kumho Tyres are equipped with reinforced sidewalls. In the case of a puncture, they can carry the weight of the vehicle even without any air. Also, if there is a pressure loss they prevent the side of the tyre from being pinched between the road and the rim or slippage of the tyre into the rim well. The self-supporting side walls of the tyre enable continued driving up to a maximum speed of 80 km/h for a distance of up to 80 kilometres. This removes the need to change a wheel in a dangerous location. A further advantage of the Kumho Tyre is a weight reduction through not carrying a spare wheel and the resulting reduction in fuel consumption. This also increases the useable boot space. A prerequisite for using Runflat tyres is a tyre pressure monitoring system (TPMS). Y Lamellas are a Michelin invention for winter tyres. The sophisticated design of these Y shaped slits in the tread block doubles the volume of tread edge after approx 1/3 of their life span. The result: Even despite declining tread depth, winter grip is exceptionally good. Some tyre manufacturers use coloured markings on their tyres, such as yellow or red dots. These do notrelate to quality features of the product in question. These markings might relate to various sorting issues from the manufacturer’s different tyre factories. So for example, a manufacturer could track a shipment right through the route to market. However, the manufacturers do not publish any further information about these coloured markings. Z Lamellas are Z shaped, arranged to the mid point of the wheel. This results in a supporting effect, which gives good traction, excellent grip and steering precision. Z lamellas are mainly used in winter tyres and in the high performance area. Depending on the performance level desired, same direction and opposite direction Z lamellas designs are available.